THIS YEAR HAS been a big one for water. California is still mired in drought, although less of the state is suffering than in previous years and each winter rainstorm brings a fresh bit of optimism. A large reserve of groundwater was found deep under the drought-stricken Central Valley, recycled water continues to gain in popularity, flooding to help fish and farmers is panning out and 2016 will likely wrap up as the hottest year on record. Below are seven other significant milestones that impacted California water and will help shape the year ahead. The much-heralded El Nino that many hoped would lift California out of drought didn’t live up to expectations. And what precipitation did come was concentrated much more heavily in the northern parts of the state, leaving Southern California high and dry. By mid-April, while snowpack was at 100 percent of average in parts of the northern Sierra Nevada, precipitation in Los Angeles was at only 58 percent. And the snowpack reading for the southern Sierra Nevada on April 1 was 65 percent of average. To make matters worse, despite normal wet weather in the north, warmer temperatures meant that by May 1 the snowpack statewide dropped to only 55 percent of average – a marked improvement over the historically low snowpack of 2015, but nothing close to what the state needed to make a big impact on the drought. After nearly a year of Californians rising to the challenge of a 25 percent statewide conservation mandate, the policy was disbanded in May. The State Water Resources Control Board changed course and instead decided to let water agencies set their own conservation standards. Following the decision, most water agencies set conservation goals at or near zero, and conservation statewide fell. In June, Lake Mead hit its lowest point ever since the reservoir on the Colorado River was built 80 years ago. Around 19 million Californians, nearly half the state, get some portion of their drinking water from the Colorado River. 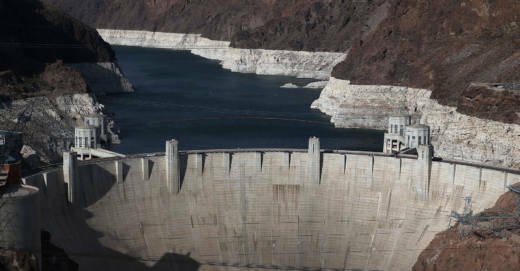 The Bureau of Reclamation believes the lake’s shortage will be so low by 2018 it will not be able to make its deliveries to lower-basin states Nevada, Arizona and California. The three states have been working for months on a compromise, should the shortage warrant it. However, in December the Las Vegas Journal-Review reported a new hitch – trouble in California is holding things up. “Before they agree to store more water in Lake Mead, California’s largest river users want to know how much water they might have to forgo to protect endangered fish in the Sacramento-San Joaquin Delta or keep the Salton Sea from drying up, triggering an ecological disaster,” the Journal-Review reported. The summer was marked by several outbreaks of toxic algae blooms in waters across the state, fueled by low water flows, warm temperatures and high levels of nutrients. Although toxic algae blooms happened in both Northern and Southern California, of particular concern was the Sacramento-San Joaquin Delta. One of the most visible signs of California’s drought has been patches of red amid the typically green hillsides of California’s conifer forests in the Sierra Nevada. One of the most visible signs of California’s drought has been patches of red amid the typically green hillsides of California’s conifer forests in the Sierra Nevada. Recent aerial surveys indicate that the number of dead trees, thanks to drought and beetles, has risen to 102 million, with more than half dying in the last year. “The scale of die-off in California is unprecedented in our modern history,” Randy Moore, forester for the region of the U.S. Forest Service that includes California, told the Los Angeles Times. While statewide surveys have been conducted in the Sierra Nevada, smaller-scale research in coastal areas has also found that usually resilient oak trees are also dying from drought as tree roots can no longer reach falling aquifers. In December, President Obama signed the Water Infrastructure Improvements for the Nation Act, a $12 billion measure that provides aid for Flint, Michigan, and projects to fund dams and provide flood protection across the country. Stuffed into the legislation were controversial provisions that will affect how much water is pumped out of the Sacramento-San Joaquin Delta. The new law has received cheers from San Joaquin Valley farmers and jeers from the environmental community and Delta-area residents worried about overpumping from the environmentally sensitive Bay Delta. The law calls for pumps “to maximize water supplies for the Central Valley Project and the State Water Project,” and may run into conflict with provisions in the Endangered Species Act that limit pumping at certain times to protect endangered fish species. With just over a week to go before the end of 2016, California took another step forward on California WaterFix, the plan to build twin tunnels in the Delta, by releasing more than 90,000 pages of a finalized environmental impact report. Erin Mellon, a spokeswoman for the state’s Natural Resources Agency, told the Sacramento Bee that the state hopes “to have federal permits approved next year and construction under way as early as 2018.” The report comes after “hundreds of public meetings and thousands of comments,” according to the Natural Resources Agency. 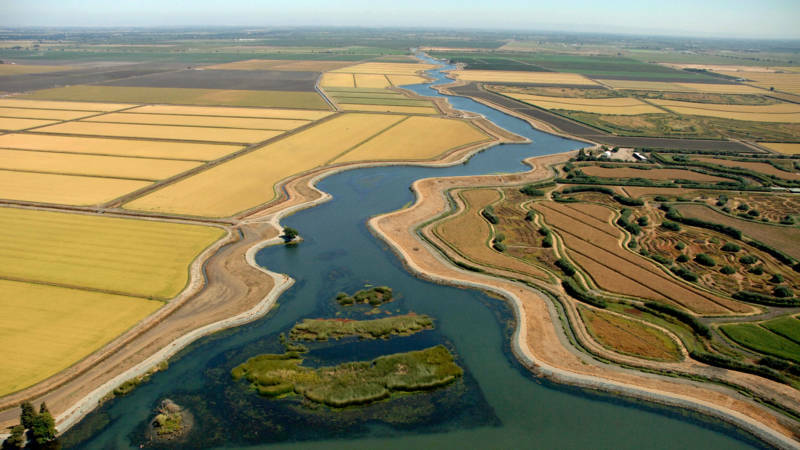 “After years of scientific study and analysis, we have found the best solution for protecting both the Delta’s ecosystem and a vital water supply for California,” said Mark Cowin, director of the California Department of Water Resources. The project still faces other hurdles, including hearings before the State Water Resources Control Board on water rights impacts and a crucial agreement by water districts on how to finance the project.